Starship, the UK-based innovation studio, today unveil a first glimpse of mobile social VR network, vTime, with the release of a new video and screenshots. Set for launch in November, vTime offers friends and family a compelling new way to spend quality time together in virtual reality. Using just a smartphone and a VR headset, cross-platform network vTime allows users to meet-up and interact with people around the globe. Combining breath-taking virtual locations with intuitive and hands-free controls, vTime users can chat, enjoy music, and share images, videos, and spherical media in rich virtual environments. Running on 3G and 4G cellular networks as well as Wi-Fi, vTime transforms the smartphone into a passport to the metaverse. vTime users are able to personalise their experience by customising the appearance of their avatar, hosting virtual meet-ups and creating friends lists. Newcomers can quickly expand their social circle and immerse themselves in engaging conversations through vTime Search, which focuses on matching users based on interests and trending topics. 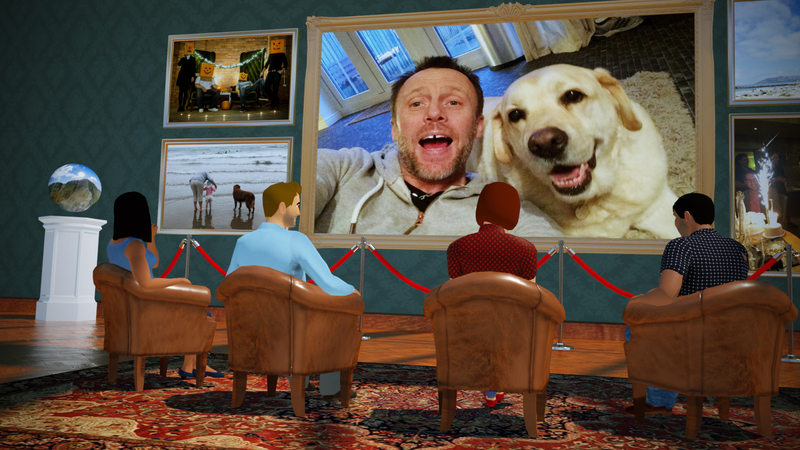 Friends without a headset can still be a part of the conversation by using vTime Mono – a 2D window into the vTime metaverse through which they can interact and chat with other participants using a tablet. Users are also able to view live public exchanges happening within vTime through Spectate Mode, accessible through tablet, phone and PC. This entry was posted in 2, Developer, game, games, Games Developer, mobile, train, train 2 game, Train2Game, www.train2game-news.co.uk and tagged 2, developer, game, games, Games Developer, games industry, mobile, Network, Social, train, Train2Game, VR, VTime by Train2Game Blogger Team. Bookmark the permalink.